The Panthers announced that they have signed long snapper J.J. Jansen to a five-year deal. The pact is worth $5.5MM, according to a source who spoke with Joe Person of the Charlotte Observer (on Twitter). Jansen has been an absolute rock for the Panthers and has not had a bad snap since September 2010. Originally was acquired by Carolina in a trade with Green Bay in 2008, Jansen told the team website that he is humbled and honored to receive a new multi-year deal. 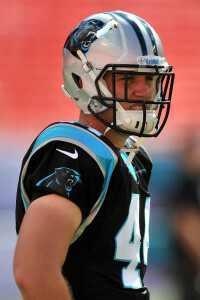 In seven seasons with the Panthers, Jansen has handled more than 1,000 snaps on punts, field goals and extra points. Since the lone slip-up in 2010, Jansen has executed more than 600 snaps without fail.